This week, Ivy is delighted to welcome a guest to the dog’s blog. 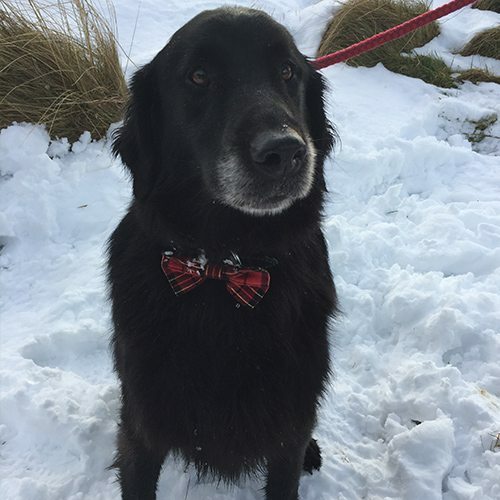 This is Noah (whose human is Nina) wearing his festive bow tie on his recent holiday in Scotland. Any pets who would like to appear as our Guest blogger, should please have their people contact Ivy’s people.